TO demonstrate how serious he was when he vowed never to sing again, self-exiled musician Lovemore "Majee" Majaivana rejected Oliver Mtukudzi's plea for him to come back home for a few shows, and even went to the extent of turning down the fellow Zimbabwean music superstar's offer for a collaboration. Majaivana has not stepped on a stage since he left the country of his birth at the turn of the century, although he still commands a following that rivals any among his peers. After Thomas Mapfumo made his return to Zimbabwe after 14 years in exile earlier this year, there have been renewed calls for Majaivana to do the same and stage one last show for his long suffering fans. However, while others have only started adding their voices to the chorus calling for Majaivana to come back, for veteran radio personality and promoter Ezra Tshisa Sibanda, luring back Majee has been a 15-year-old pursuit. Since 2013, Sibanda has tried to lure Majaivana back, including soliciting the help of Tuku. According to the veteran broadcaster, although Majaivana attends Tuku's gigs in the United States religiously, he refused the offer of a duet when Tuku asked. "Previously I asked Tuku when he was in USA to speak to him and they met but still he refused to do a comeback or even record a duet with Tuku. He attends Tuku's shows in States to watch every time he is there," Sibanda said. According to Sibanda's grand plan, Majaivana would perform on a farewell tour around the globe before hanging the mic forever. "I have been trying to convince and lure Majee to do a comeback, just for the sake of his fans. I want him to do a world tour and then retire since he said he doesn't want to sing anymore. My plan was to do two shows in UK, one in South Africa before heading to Zimbabwe for two huge shows in Harare and the finale in Bulawayo. My first contact with him was in 2003 and he vehemently refused and I'm still begging him," he said. However, despite Sibanda's overtures, Majee has been adamant that he does not want to come back, even asking for a change of subject whenever music is brought up in a conversation between the two. "For the past 15 years I have been trying and he tells me he is not going to sing or perform again. He wants me and him to chat about sports or any other social issues, not music," he said. 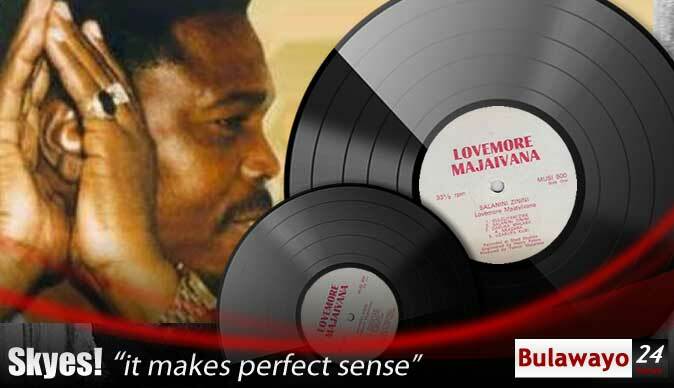 Despite his popularity, Majaivana felt rejected while he was still an active musician in Zimbabwe. That feeling that he was not fully embraced by his own has left him feeling music as a craft had not made a meaningful contribution to his life. Sibanda said people only started to see what they had been missing when they saw the prophetic power of the Makokoba-bred artiste's words. "He says he never benefited anything from music and all his sweat went to waste. I believe people only appreciated his music mainly when they discovered Majee's music was prophetic. All he sang about has come to pass," he said. Absence makes the heart grow fonder, the adage goes and every year the cries for a major farewell grow louder. Despite his reluctance to come back, Sibanda said that Majaivana was well aware of how popular he was. "He knows full well that he is on demand but very he's adamant not to sing again. We created a Facebook petition 'Bring back Majaivana' and thousands of people signed up. I then took it to him but he refused. Majee felt unloved and his music unappreciated during his singing career. It's only now when people felt more connected to his music because of the situation," he said. While some had speculated that Majaivana had become a pastor after he left music, others have claimed that he has been living large in the United States, with a posh home and vehicles. Sibanda confirmed that the veteran musician was now businessman. "I don't know anything about Majee being a pastor. I know he is a businessman in the States. I don't want to get into details but I think he was put off by his record company as well," he said. Despite his efforts being rebuffed, Sibanda said he was not giving up and had not asked Thomas Mapfumo to make a plea to Majaivana on his and other fans' behalf.